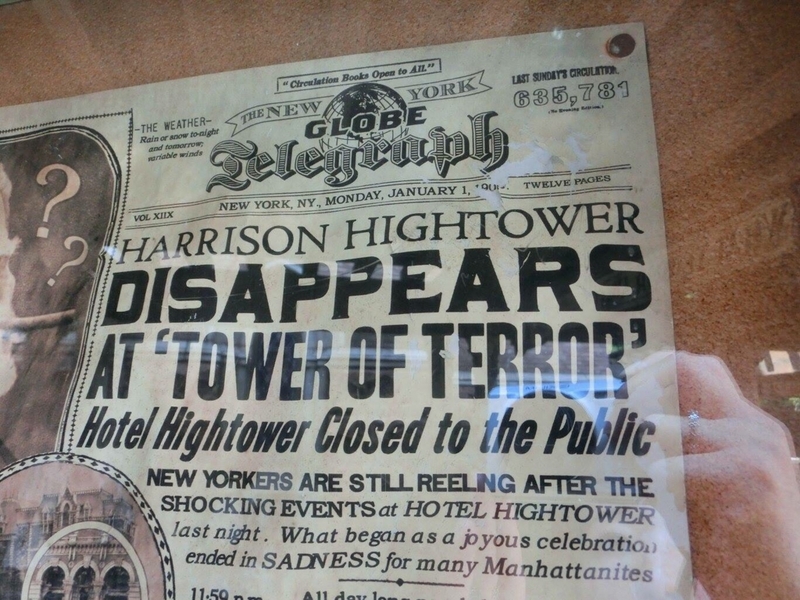 NEW YORKERS ARE STILL REELING AFTER THE SHOCKING EVENTS at HOTEL HIGHTOWER last night. 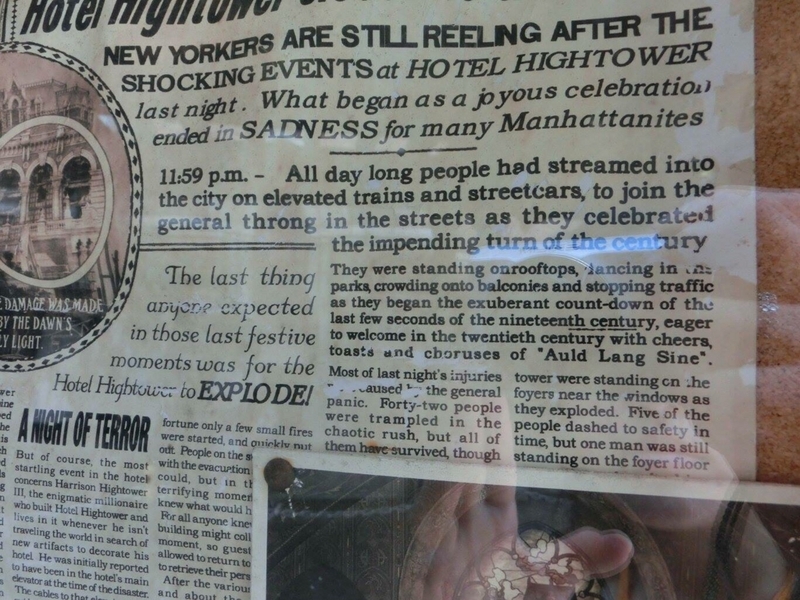 What began as a joyous celebration ended in SADNESS for many Manhattanites 11:59 p.m. - All day long people had streamed into the city on elevated trains and streetcars, to join the general throng in the streets as they celebrated the impending turn of the century. 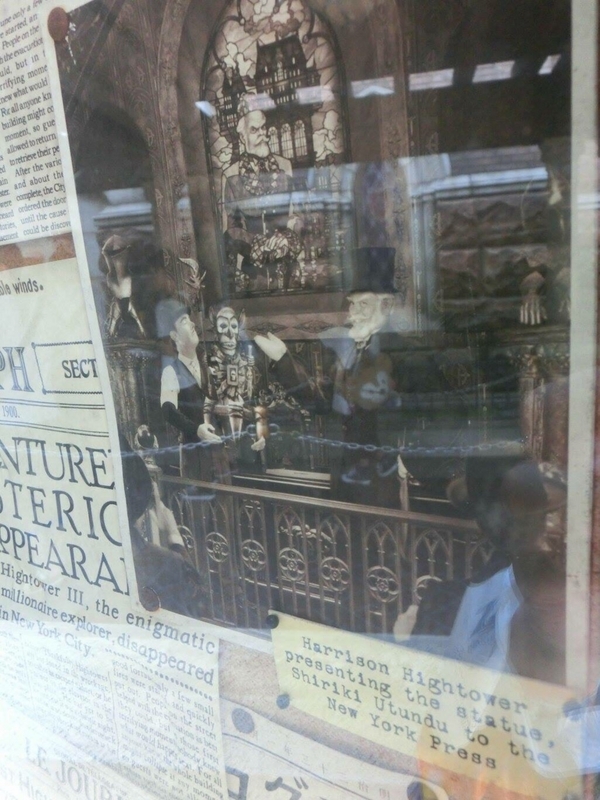 They were standing on rooftops, dancing in the parks, crowding onto balconies and stopping traffic as they began the exuberant count-down of the last few seconds of the nineteenth century, eager to welcome in the twentieth century with cheers, toasts and choruses of “Auld Lang Sine”. 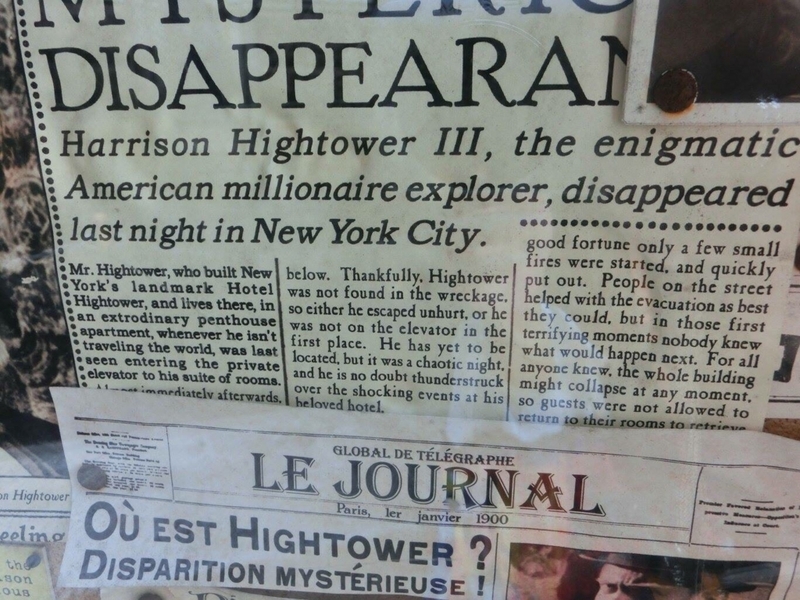 Harrison Hightower Ⅲ, the enigmatic American millionaire explorer, disappeared last night in New York City. 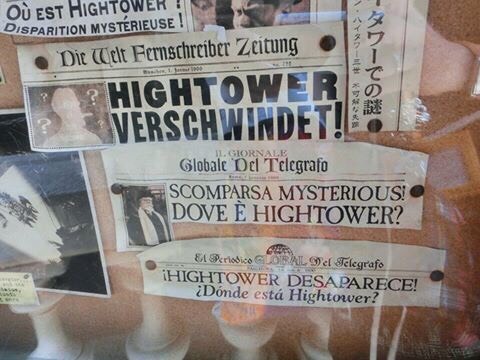 Mr. Hightower, who built New York's landmark Hotel Hightower, and lives there, in an extrodinary penthouse apartment, whenever he isn't traveling the world, was last seen entering the private elevator to his suite of rooms. 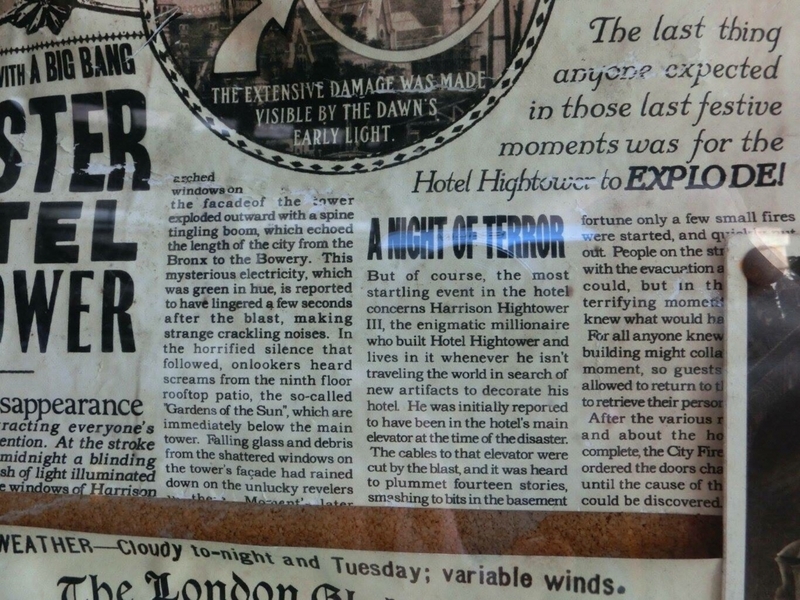 Thankfully, Hightower was not found in the wreckage, so either he escaped unhurt, or he was not on the elevator in the first place. 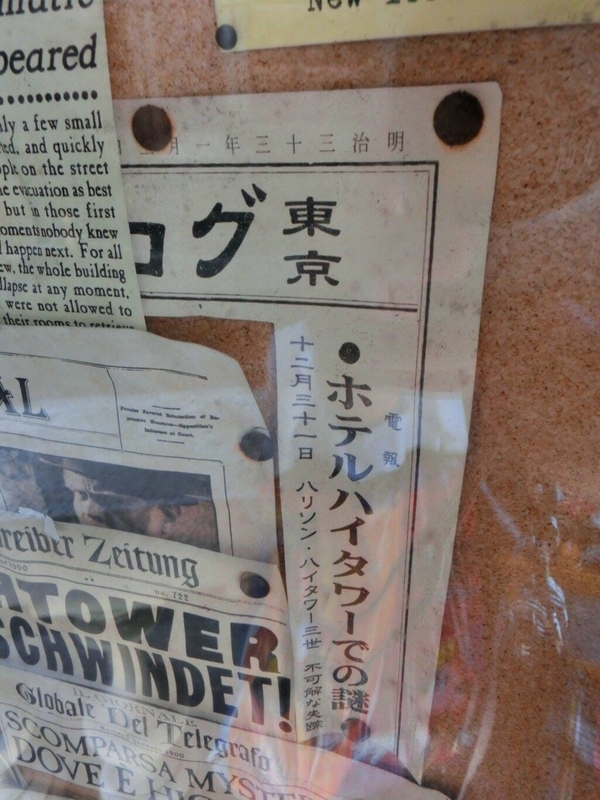 He has yet to be located, but it was a chaotic night, and he is no doubt thunderstruck over the shocking events at his beloved hotel. 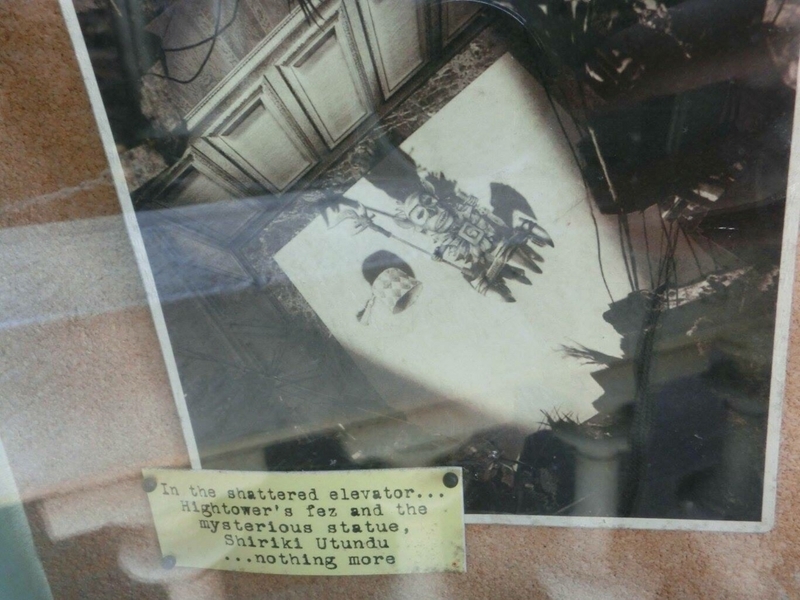 In the shattered elevator... Hightower's fez and the mysterious statue, Shiriki Utundu... nothing more.